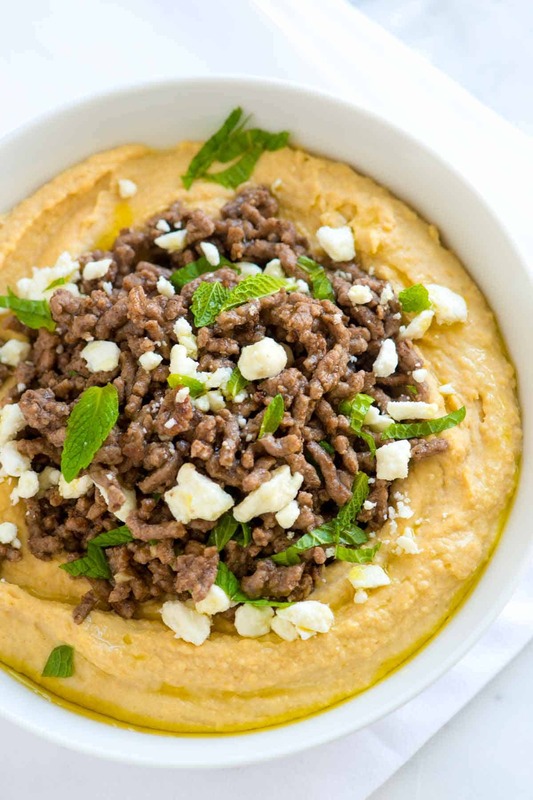 How to make hummus topped with spiced ground beef, feta cheese and mint. Jump to the Hummus with Spiced Ground Beef, Feta and Mint or read on to see our tips for making it. 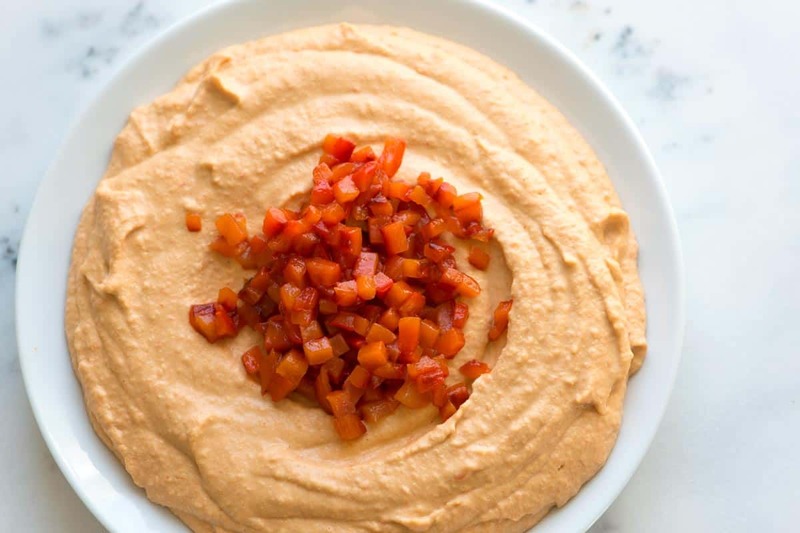 YOU MAY ALSO LIKE: Easy roasted red pepper hummus recipe with sweet red bell peppers, chickpeas, garlic, and tahini. Jump to the full Roasted Red Pepper Hummus Recipe. The beef can be made in minutes. We spice it up with cumin, cinnamon, coriander and cayenne pepper. Then we add it to the top of smooth creamy hummus. You can buy your own hummus or make our simple hummus recipe. It only takes about 10 minutes and tastes better than store-bought. 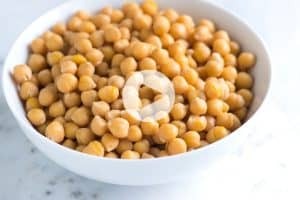 Basically, we add tahini, lemon juice, spices and chickpeas to a food processor and process until ultra smooth. By the way, this recipe can easily be adapted for ground lamb, chicken or turkey. 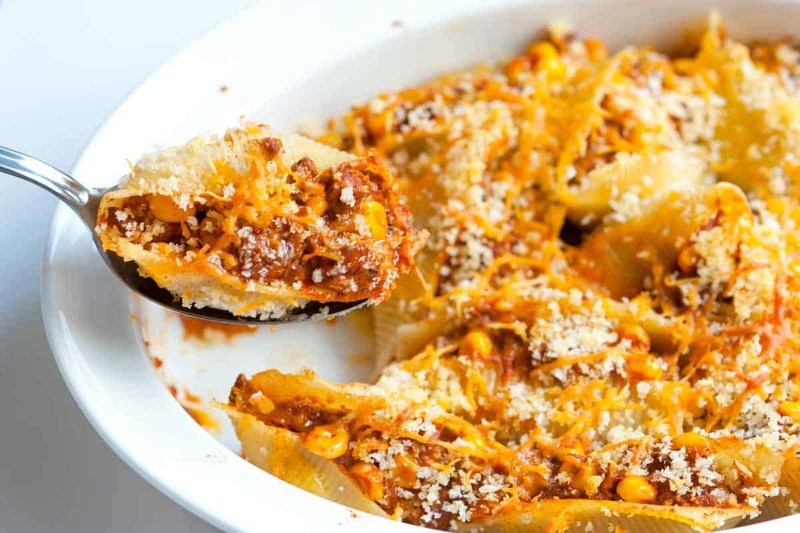 YOU MAY ALSO LIKE: How to make taco inspired stuffed shells with ground beef, corn and cheese. Jump to the Easy Taco Stuffed Shells Recipe. You can buy your own hummus or make our simple hummus recipe. It only takes about 10 minutes and tastes better than store-bought. Basically, we add tahini, lemon juice, spices and chickpeas to a food processor and process until ultra smooth. 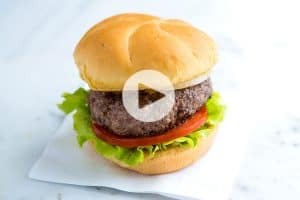 This recipe can also be adapted for ground lamb, chicken or turkey. Heat the oil in a large skillet over medium heat. Add the beef, press it down into the pan then cook, without disturbing it until browned on one side, about 8 minutes. Break the beef up then stir in the cumin, cinnamon, cayenne pepper, coriander, allspice, and a generous pinch of salt. 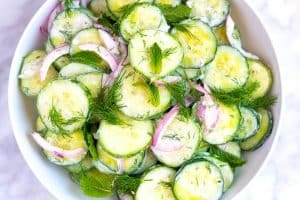 Cook until fragrant, about 2 minutes. Pour in the chicken stock and cook until reduced and beef is cooked, about 5 minutes. 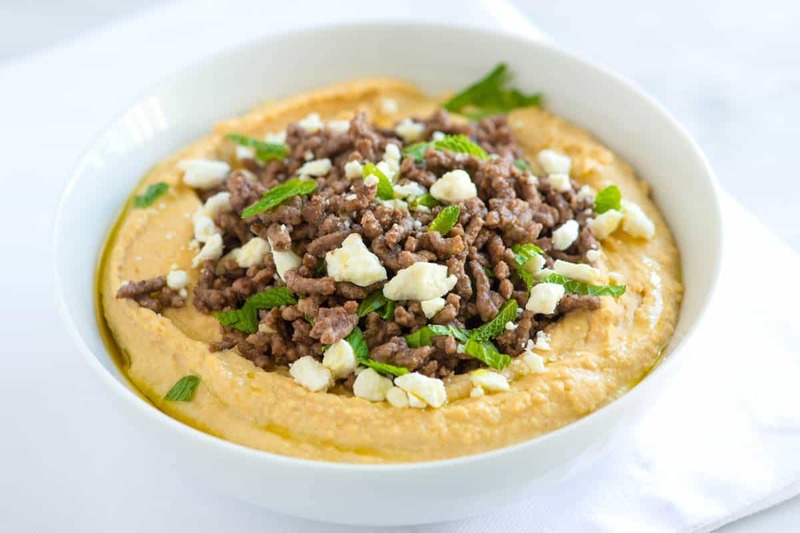 Spoon hummus into a bowl and top with spiced beef, feta cheese and the chopped mint leaves. That’s our dinner tonight, thank you! 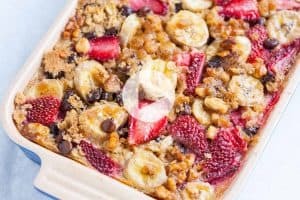 🙂 My mother-in-law makes a similar dish — hummus, spiced lamb or beef, and toasted almonds or pine nuts for the topping. I think feta cheese will add an interesting flavor. I never would have thought of this recipe but I am glad someone did. How simple and not terribly unhealthy.